Regardless of Kim Ki Duk's problems at home in Korea where the "Me Too" movement has become a cri du coeur, his film, Human, Space, Time, and Human, seems not been affected by his personal issues. The film, itself, continues to do well in the European Film Festival circuit. The film not only premiers in Brussels at the Belgium Fantastic Film Festival (BFFF) in March, but it is also be shown at the Vilnius Film Festival in Lithuania. These multiple film festival premieres will help to cement Jang Keun Suk's reputation as an actor worthy of note. A hundred people embark on an old warship converted into a huge summer liner. It was supposed to be a relaxed cruise with happy tourists. However, if you put a microcosm of human society into confined spaces with tons of drug and alcohol, you get a Sodom and Gomorrah at sea. After an eventful night of orgies, murders and extreme violence, the passengers finally fall asleep, exhausted by all this atrocious debauchery. Upon awakening, the surviving passengers will not only have to deal with their pounding hangovers but also with a mind boggling new situation. Their cruise liner is now floating in the air, among the clouds. And food stocks are shrinking by the hour. For his 23rd film, Ki-duk Kim had a clear message: “I made this film to stop hating humans”. Having said that, the most audacious Korean filmmaker completely threw all politically correct caution in the wind. It didn’t take long for reactions to flood in. 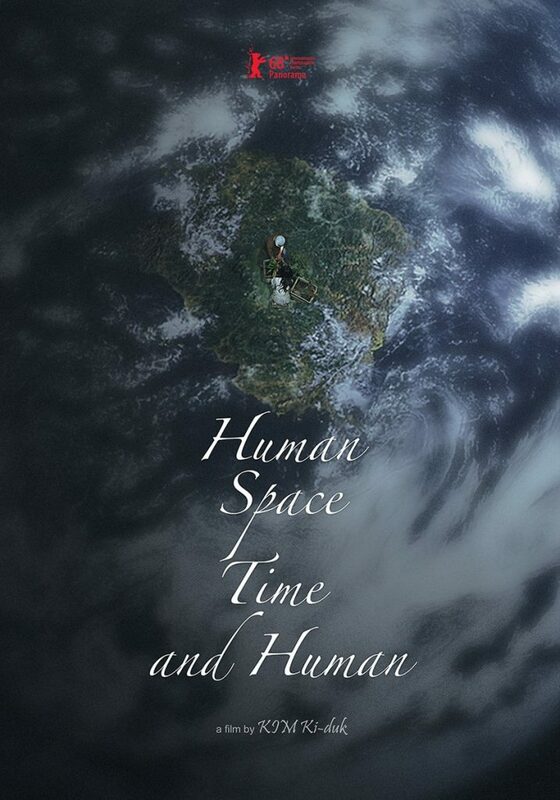 The world premiere of Human Space, Time and Human at the Berlin Film Festival caused an uproar, polarizing the audience both shocked by the lack of filters and blown away by this allegory of human fascism. Are you ready to give your opinion?